Lucknow (Uttar Pradesh) [India], Jul. 01 (ANI): The implemented Goods and Service Tax (GST) launched on July 1 is a crucial step towards ensuring India's economic revolution said Uttar Pradesh Chief Minister Yogi Adityanath. Lucknow (Uttar Pradesh) [India], June 19 (ANI): Uttar Pradesh Chief Minister Yogi Adityanath on Monday gave a nod for the Central Bureau of Investigation (CBI) probe into the Gomti River Channelisation Project scam. Darbhanga (Bihar) [India], June 15 (ANI): Uttar Pradesh Chief Minister Yogi Adityanath on Thursday took a dig at the JD (U)-RJD alliance Government in Bihar and said that soon his government will oust the 'bizarre' combination dispensation. 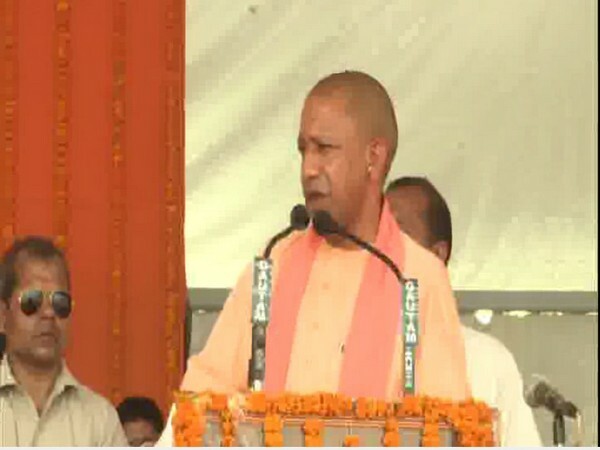 Gorakhpur (Uttar Pradesh) [India], June 14 (ANI): Uttar Pradesh Chief Minister Yogi Adityanath on Wednesday said that he was asked to keep farmers, dalits and poor in the top most important agenda in the state by Prime Minister Narendra Modi. Lucknow [Uttar Pradesh], June 6 (ANI):Uttar Pradesh Governor Ram Naik and Chief Minister Yogi Adityanath will join yoga guru Baba Ramdev here in a yoga practice session on Wednesday before the upcoming 'Yoga Diwas' or International Day of Yoga which is to be held on June 21. Vindhyachal (Mirzapur, Uttar Pradesh) [India], June 3 (ANI): Uttar Pradesh Chief Minister Yogi Adityanath offered his prayers to the presiding deity at the Vindhyachal Temple here on Saturday morning amidst tight security. Gorakhpur (Uttar Pradesh) [India] May 26 (ANI): Uttar Pradesh (UP) Chief Minister Yogi Adityanath on Friday lauded the completion of three-year of the Narendra Modi government, saying the Prime Minister as a global leader is taking India towards new heights. New Delhi [India], May 21 (ANI): With Yogi Adityanath hailing the Rashtriya Swayamsevak Sangh (RSS) for unifying India, the Congress on Sunday asserted that the Uttar Pradesh Chief Minister cannot simply 'whitewash' the dark history of the organisation. New Delhi [India], May 10 (ANI): In a meeting with Uttar Pradesh Chief Minister Yogi Adityanath, the NITI Aayog on Wednesday presented a road map on possible techniques that the state could embark on to move towards development and reach the end of becoming a modern state.